Many homeowners avoid hiring an electrician because even a short service call can turn into a very expensive visit. Unfortunately for many homeowners, this is not always a viable option. Although the majority of electrical work should always be performed by a certified professional, there are some items that a handy homeowner can perform on their own. To help ensure your safety, always make sure to follow all safety precautions, and call a professional if you are ever unsure of what you are doing. Making a mistake when working on electrical can lead to injury or fire. It's better to be out of pocket than to be out of home. Most homeowners have changed at least one light bulb in life. In fact, most of us have changed light bulbs so many times that doing so seems almost routine. That being said, there are still a number of things that you need to make sure to do to ensure your safety. Start by turning off the switch to stop the flow of electricity to the fixture. Remove the old bulb and replace it with the new one. You can then turn the light on and off to check to see if your replacement job is successful. Flipping the breakers in your electrical panel is another job that most homeowners have down. In most cases, you will only have to do this whenever one of your circuits is overloaded or shorted in some manner. Whenever this happens, you must simply go to your breaker panel and find the breaker that has been affected. Flip the switch all the way off and the back to the on position. If you do not know where your breaker panel is, you should go find it even if you do not currently have an affected circuit. This is the first place that you should look whenever you are having issues with any of the electrical devices in your home. If you have breakers that flip frequently, it may be time to either upgrade your electrical service or have that circuit inspected for any issues. This means it's time to call an electrician to inspect the size and safety of your electrical system. 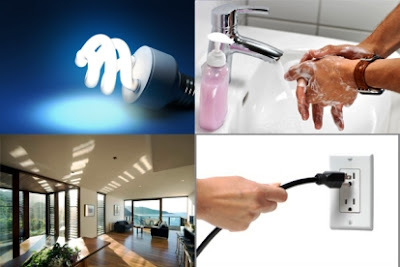 Although the above jobs are fairly simple, they can actually resolve the majority of all electrical issues. In addition to performing these simple fixes, some homeowners may be able to tackle more advanced jobs such as ceiling fan installation, changing out light fixtures and installing electrical switches and receptacles. 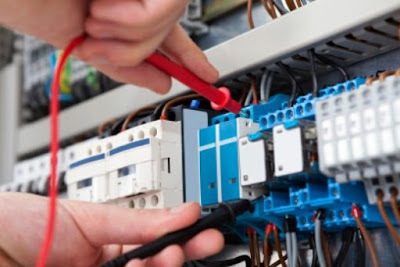 These types of jobs, however, require a much more in-depth knowledge of electrical wiring and can result in even more dangerous situations if done improperly. Unless you are very handy and have experience working with electrical wiring, it is highly recommended that you leave these to the pros. They can make sure that everything is installed safely and completely.